On 25 February 1836 Captain Robert Morgan sat down in his tiny cabin on board the Duke of York to begin a diary of the long sea voyage to the new Province of South Australia. He was well aware that the journey he faced would be long and perilous, indeed the route to Australia was one of the longest sea voyages undertaken at the time, and he knew only too well that he might never return. Morgan was a fond family man who clearly left his family with regret. In his very first entry he consigned them into the ‘hand of God’, but anxiety for his family remained as a constant theme in his first weeks away. Robert Morgan was a deeply religious man, even by the standards of the 1830s, and his diary is peppered with references to Almighty God, the benign influence of Providence and the beneficial power of prayer. On the long journey to the new province of South Australia, the Christian God would be his constant companion, guide and source of solace. The Duke of York was the second of the nine ships to leave England for South Australia between February and July 1836. The John Pirie was the first to leave, on 22 February, according to a later newspaper report, but we have no other information from this vessel until later in the voyage. A former mail packet, refitted as a whaler, the Duke of York was acquired by the South Australian Company to transport these vanguard colonisers to an initial settlement on Kangaroo Island, where a makeshift unofficial settlement already existed. They went in advance of the government vessels, which would follow with officials appointed by the Colonial Office to establish formal government in the new province. On board the Duke of York was a motley group. A small group of passengers, eager for a new life in a new land, but completely untried at sea, rubbed shoulders with hardened seafarers - whalers anxious to get on with the job and impatient with landlubbers. Captain Morgan would need to call on all his reserves of seamanship, discipline and diplomacy to deliver his vessel and the souls it carried, safely to harbour on the other side of the world. came to anchor in about 15 A fathom is a measure of depth in the imperial system. One fathom is equal to six feet or 1.83 metres. fathoms water in the downs in the evening, assembled the officers and apprentices for prayers, read a chapter in Book of the Old Testament of the Bible. Proverbs and commended ourselves to God. Read on next week, as the Duke of York encounters a fearsome storm at the very beginning of its journey. 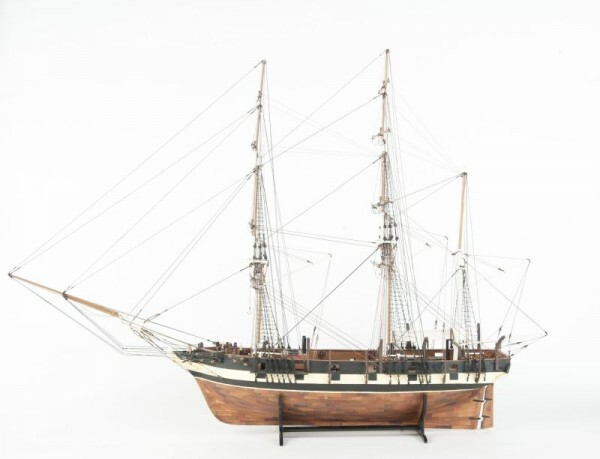 Image Credit: Model of the ship Duke of York. South Australian Maritime Museum collection. will this weekly voyage list names of the passengers of each ship ??? Geoff L Coat wrote: I read the passenger list included on this site. Where is this please. I may have information to add to this passenger list. I have written up the history of Luke and Harriet Broadbent and their family who travelled to South Australia on the “Buffalo in 1836 with Governor Hindmarsh. For a period they lived on Kangaroo Is.I am happy to make this available to you. It is in electronic form (pdf) so if you let me have an email address I can send it to you. Hi Brian, that would be great! The more people stories we have the better. I will email you my details. Congratulations on what looks like the start of a journey of involvement for we readers. I read the passenger list included on this site and found that at the place called Torbay on the voyage, one passenger was goaled, another left the ship and a third, deserted the ship. That should make interesting reading in the weeks ahead. Hi Geoff, There certainly are some interesting adventures ahead! Week 6 in particular features a horrifying storm. stay tuned. Thanks Mark. You should find that it is now fixed. The links to “full journals” do not work ? I keep getting errors everytime I click on them. thanks for pointing this out. We are looking into the broken links now. What a novel idea for putting different types of history into the public domain. Really interesting information. I await next weeks installment. Very interesting reading. 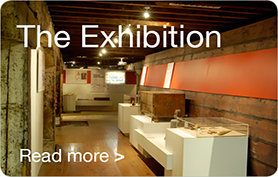 Great to see more local original historical documents available online and easily accessible to a wide audience. Looking forward to next week’s instalment! My forebears arrived with the first colonists to Nepean Bay on the Cygnet, Africaine and Buffalo. That’s some lineage Bill! If you have any additional information as we get to those voyages we’d love to hear from you. thanks for the comment. It’s interesting to note that even 175 years ago, we required our new intended settlers to first be settled on an island. Why are we complaining today about Christmas Island?